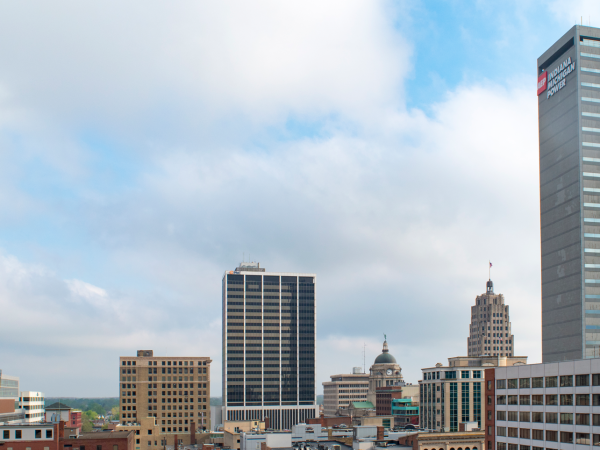 There are quite a number of hotels in the Fort Wayne area where visitors can stay. Many hotels in Fort Wayne offer a low rate, great family amenities, and ideal locations. 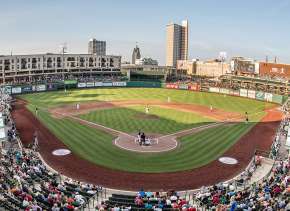 Discover some of Fort Wayne&apos;s great hotels and special hotel packages available! Whether you are shopping or dining, most Fort Wayne locations include free parking. However, during events downtown, you will want to be prepared when finding parking downtown. Wherever you are in downtown Fort Wayne, there is likely to be great parking just around the corner. A great resource for finding parking based on your current location is parkopedia.com. Keep in mind that metered parking and some lot parking is free on evenings and weekends in downtown Fort Wayne. You are more likely to find street parking when there are no events or festivals. Fort Wayne has numerous attractions that visiting families can enjoy. Whether you are interested in art, history, or just want to enjoy the scenery at the botanical gardens or zoo, there are plenty of places visiting families can enjoy. Hours are Tuesday through Saturday 10-6 p.m., Thursday 10-8 p.m., and Sundays from 12-5 p.m. Tickets are $8 for adults, $6 for children (pre-K through college.) However, families can just pay the discounted family rate of $20, saving a family of four $8. The center is open Monday through Friday, from 10-5 p.m., Saturday between 12-5 p.m., and it’s open on the first Sunday of every month between 12-5 p.m. Price of admission for adults is $6, for children between 3-17 years of age is $4, and it’s free admission for children under 2. For a family of four, depending on the ages of the children, an afternoon at the History Center can range from $12-$20. The Botanical Conservatory is open Tuesday through Saturday, from 10-5 p.m., Thursdays from 10-8 p.m., and Sundays from 12-4 p.m. Admission for adults is $5, admission for children between the ages of 3-17 is $3, and children under 2 are admitted free of charge. 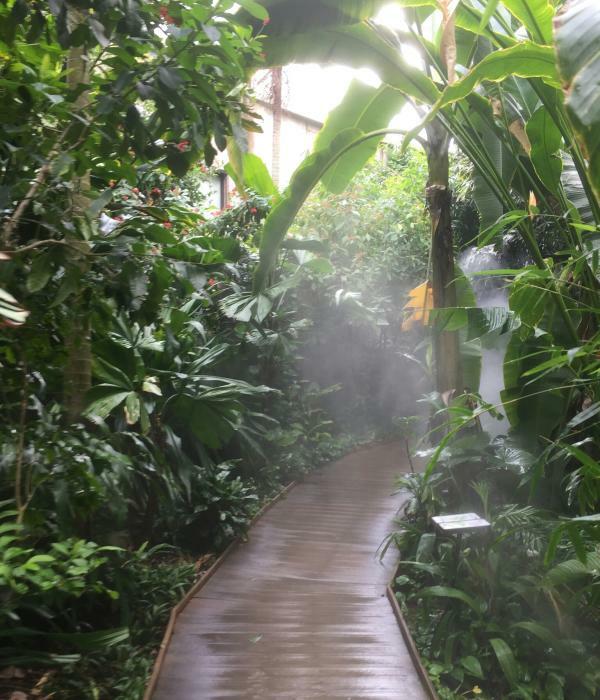 A family of four, depending on the ages of the children, can expect to spend from $13-$16 for a relaxing afternoon at the botanical conservatory. The Fort Wayne Children&apos;s Zoo is open Monday through Sunday, from a.m. to 8 p.m., with the last admission being at 7 p.m. during the summer (Memorial Day to Labor Day). The price per ticket for adults is $14, tickets for children from 2-18 are $10, and babies under 1 year are free. 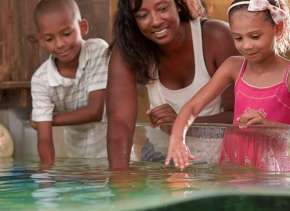 A family of four, depending on the ages of the children, can expect to pay around $38-$48 for a full day of fun. Family memberships are also available for repeat trips! 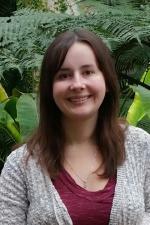 Hours are Tuesday through Saturday from 10-5 p.m., and Sundays from 12-5 p.m. Admission for ages 3 and up is $9. Children under 2 are free. There are certain discounts for Military, State Certified Teachers, and several other organizations, so it would be wise to ask at admissions if any discounts apply to you. A family of four, depending on if you have smaller or older children, can expect to spend around $18-$36 for an afternoon here. 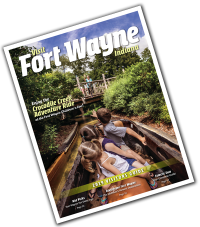 From bowling to miniature golf, swimming, and laser tag, Fort Wayne has a quite a few places that offer these activities for families. Here are a few great destinations for visitors. Hours of operation are from 10 a.m. until 1:00 a.m. Activities include a sky trail ropes course ($ 10/per person/per 20 minutes), laser tag ($7 per person), black-light miniature golf ($6 per person), ball pit ($5), and bowling ($29 per hour for a lane on the weekends, not including shoe rental). On Sundays, you can purchase the unlimited activities pass, which includes all of the above activities. The unlimited pass per person is $10/1 hour, $15/2 hours, or $19/3 hours. There is no admission fee, so families can enter free and pick and pay for the activities as they go, or on Sundays they take advantage of the unlimited pass, which will cost a family of four between $40-76 for access to all activities, depending on the amount of time chosen. UltraZone is open Monday through Thursday from 12 p.m.-1 0 p.m., Fridays from 12 p.m.-1 a.m., Saturdays from 11 a.m.-1 a.m., and Sundays from 12 p.m. until 6 p.m. The normal rate per person for one game is $7.50. There are also discounted rates for parties greater than 6. If you are staying in Fort Wayne for an extended weekend, on Mondays through Thursday, rates are discounted to $6 per person. A family of four can enjoy one game of laser tag Friday through Saturday for around $30, or $24 if you extend your weekend stay and go during the week. Hours of operation are Monday through Thursday from 11 a.m.-10 p.m., Friday 11 a.m.-midnight, Saturday 10 a.m.-midnight, and Sundays 1 p.m.-9 p.m. One game of laser tag costs one ticket. Tickets are $8, but are discounted if you buy 5 or more. A family of four can expect to spend around $32 for one game. This pool is open daily from 1:30-7 p.m. Admission for children 2-17 is $2.25, for adults $2.75, and it’s free for children under 2. A family of four can enjoy all day fun for $10 or less. 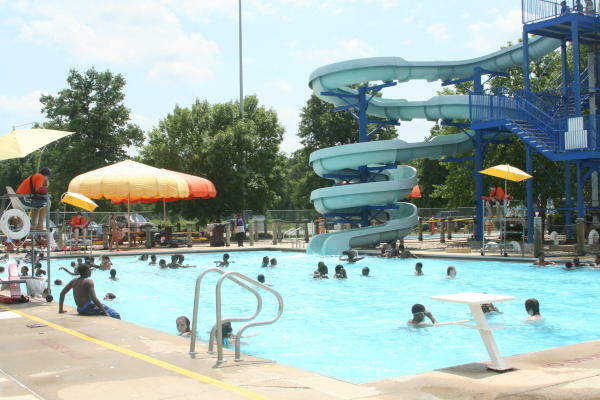 The pool is open Wednesday through Sunday from 12:30-5 p.m. Children under 2 years of age do not have to pay admission. 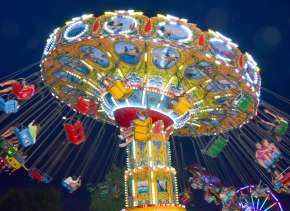 The cost of admission for ages 2 and up, including adults, is $2.25 per person. A family of four can swim all day for around $9. This pool is open daily from 12:30-5 p.m., with longer hours Mondays, Wednesdays, and Fridays when they are open from 7-9 p.m. Admission for children under 2 is free. During afternoon hours, admission is $3.50 for children between 2-17, and $4.50 for adults. Evening hours are discounted and admission for children between the ages of 2-17 is $1.50, and $2 for adults. A family of four can expect to spend around $16 during peak hours. 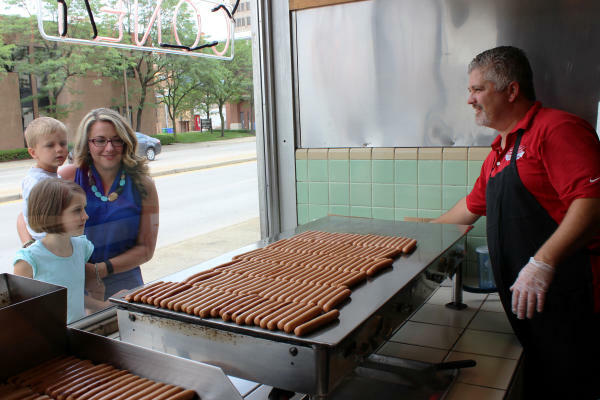 There are so many places to grab a bite in Fort Wayne, and it doesn’t always have to be expensive. Here are just a few examples of great places to eat while you are here. Visitors will be pleased with this restaurant’s colorful interior and reasonably priced entrees. The most popular dishes run from $7.99-$10.99, with free chips and salsa. An average food bill for a family of four is around $32 and up. Chinese food lovers have a large number of menu options to choose from here. Their lunch specials are quite affordable, with prices ranging from $4.95-$6.25. If you go during lunch time, four people can eat for around $19.80-$25. On your next visit to Fort Wayne, we hope you can enjoy a great family getaway for at an affordable price!